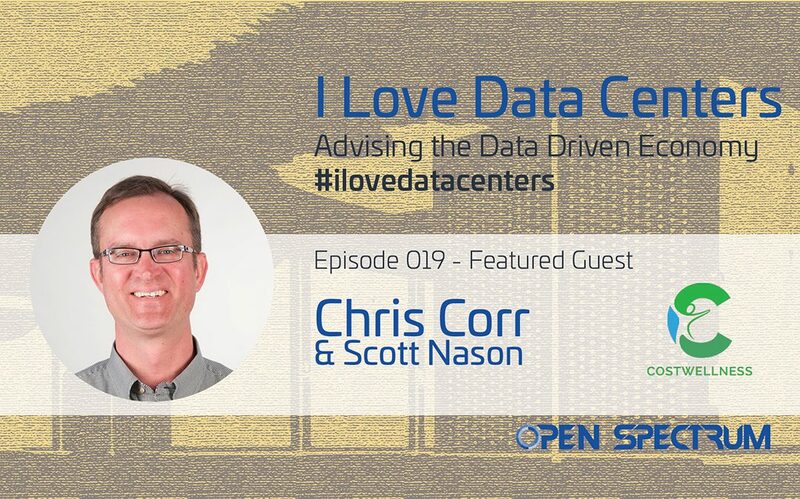 This week on the I Love Data Centers podcast: An Introduction to Telecom Expense Management (TEM). This is a data center podcast, so you may ask “why TEM?” Well, the reality is over One Trillions dollars is spent annually by companies on the networks that carry voice and data. As such, due to the complexity, criticality and size of these networks there is BIG business to be made helping companies right size and optimize said networks. Also, guess where nearly all of these networks start, end or at some point traverse through? You guessed it, The Data Center! Wanting to get as deep and wide a perspective as possible on this introduction to Telecom Expense Mangement, I brought in Chris Corr and Scott Nason, two managing partners in the firm Cost Wellness that works almost exclusively within the TEM and network optimization space. Collectively they operate with over 35 years experience working in the TEM industry and currently manage over One Billion dollars in network spend for various clients, including some significant players within the Healthcare and Banking verticals. If your goal is to become conversant in TEM, I can guarantee you will want to listen in on our conversation! 12:20 What does PBX stand for? 28:57 How does TIM hold service providers to quality of service? 30:19 How has TIM evolved to the point where it is today? 36:21 Is TIM applicable to anybody who has a circuit anywhere? 55:54 Has the TIM environment been inundated with a short term private equity mindset or are they still driven by product and software needs? 59:19 Is there a scenario within a company where, on face value it looks like a good opportunity but in reality, it is not? 1:07:48 How would an incentive such as that even come into place? 1:09:06 Is it CFOs that you are having these conversations with or is it the IT departments that are following the mandates from the financial office? 1:13:28 What is the economic model for Scott and Chris? 1:33:02 What advice would you give to a newcomer in this industry? 1:67:15 What was some helpful advice you received upon coming into this industry?